We will do our best to schedule your child’s appointments at your convenience. For preschool age children and children requiring more extensive treatments, we prefer to schedule appointments earlier in the morning, before they get too tired and overwhelmed. While absences from school should generally be avoided, typically dental appointments are an excused absence, and the importance of consistent dental care cannot be stressed enough. You can even schedule cleaning appointments online 24/7 on our website appt. While rescheduling appointments is not ideal, we realize that things happen. Please provide at least 24 hours notice for any appointment that needs to be rescheduled. Your time is very valuable, as is ours, and we simply ask that you respect our time as we respect yours. NOT SHOWING UP for your appointment and NOT CALLING TO CANCEL may incur a fee to schedule any future appointments or may limit your appointments to certain “non-ideal” times of the day. Of course, we prefer that this issue never need arise. Please remember, when you miss your appointment, you are taking away time from another child that may need that appointment. Am I able to stay with my child during treatment? Yes!! 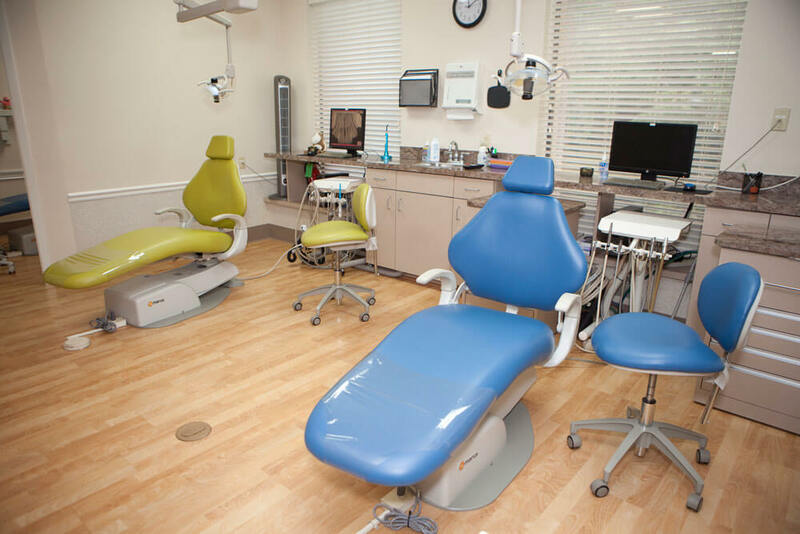 Dr. Nathan encourages and welcomes parental presence during any and all dental procedures as it results in better communication and helps your child to gain confidence. You also get to see exactly how your child is treated, how they handle the treatment, and to ask any questions that you may have during treatment. It’s a win-win for all of us! Due to space limitations and to facilitate a calm working environment, we do ask that only one supervising adult be present in the treatment area. We also ask that other children that do not have an appointment to stay in our reception area with a supervising adult. Our office accepts cash, checks, debit cards and most major credit cards. Payment is due at the time dental services are provided. We will do our best to work with you to create a treatment plan that works within your budget, while providing the best dental care possible for your child. We want your family to be both dentally healthy and financially healthy. As a courtesy to our patients and parents and to help cover the expenses of pediatric dentistry, we are pleased to offer Care Credit. Care Credit is a healthcare financing option that can help spread out dental expenses into more affordable monthly payments. You can learn more and even apply today online at www.carecredit.com. Please feel free to call our office if you have any questions about this, and one of our courteous team members will be happy to help you. We accept most dental insurance plans and Louisiana Medicaid. Dental Insurance is different from Medical Insurance. Please review the insurance benefit booklet provided by your employer to better understand your exact dental benefits. Depending on the dental coverage provided by your employer, your patient payment portion can vary widely for various dental procedures. As a courtesy to you, we will be happy to file your insurance claim for you and will do our best to provide an accurate estimate of the fees for your portion of any dental treatment we recommend. In order for us to do this efficiently and accurately, you must provide us with the complete and correct dental insurance information prior to your appointment. However, please be aware that the estimate is only an estimate and neither a guarantee of benefits nor a guarantee that the amount will be paid by your dental insurance. PLEASE UNDERSTAND that we electronically file dental insurance claims as a courtesy to our patients. After 30 days, you are solely responsible for any balance on your account, whether or not the insurance has paid. After 60 days, any unpaid balance will incur an additional re-billing fee of 1.5% each month until the balance is paid in full. We will happily forward any refund you are due if your insurance pays.